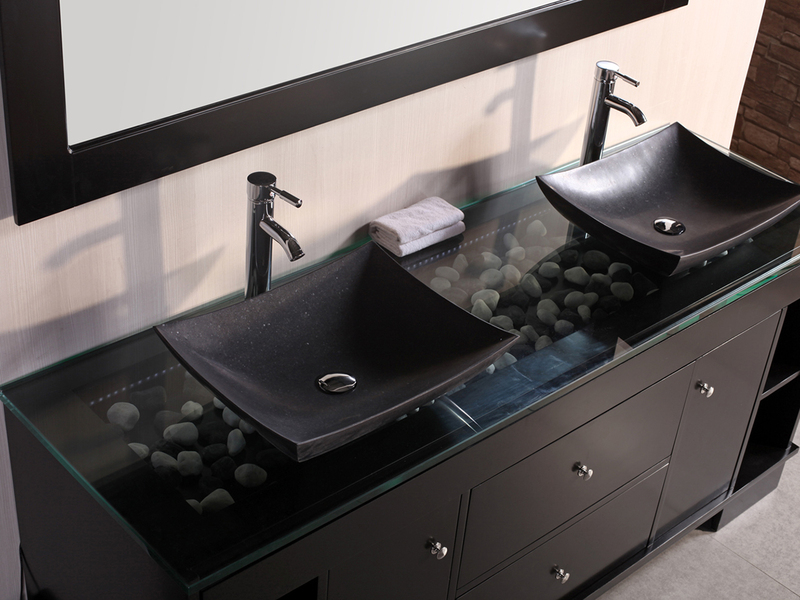 The 72" Oasis Double Sink Vanity is one of the most innovative vanities in the industry. 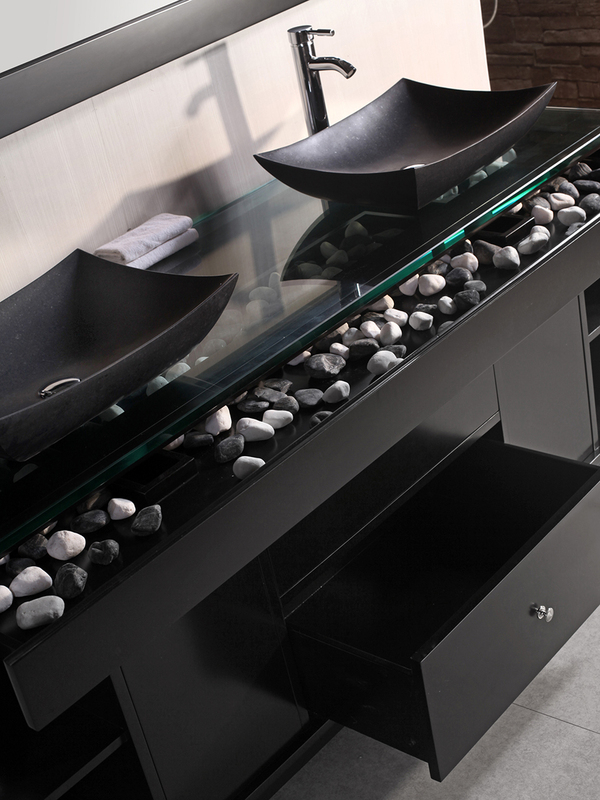 The stunning design of this vanity starts with solid hardwood and expands with a rich Espresso finished cabinet and clear glass top. What makes the Oasis so unique is its tempered glass top that reveals hidden LED lights that illuminate a large see-through drawer that spans the length of the cabinet. 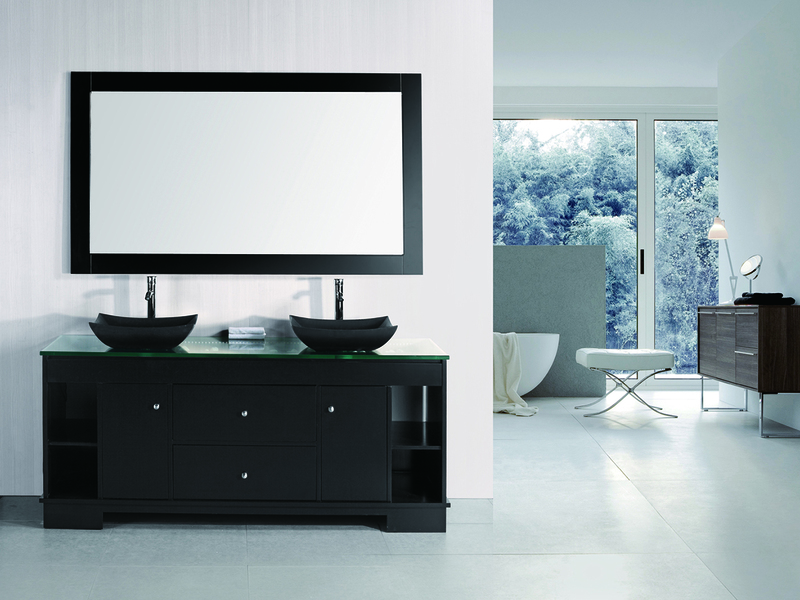 On top of that, this beautiful vanity is also functional, with its two large soft-closing drawers, and two soft-closing single-door cabinets. On either side of the cabinet, there are open shelves that make perfect homes for clean towels and display pieces. 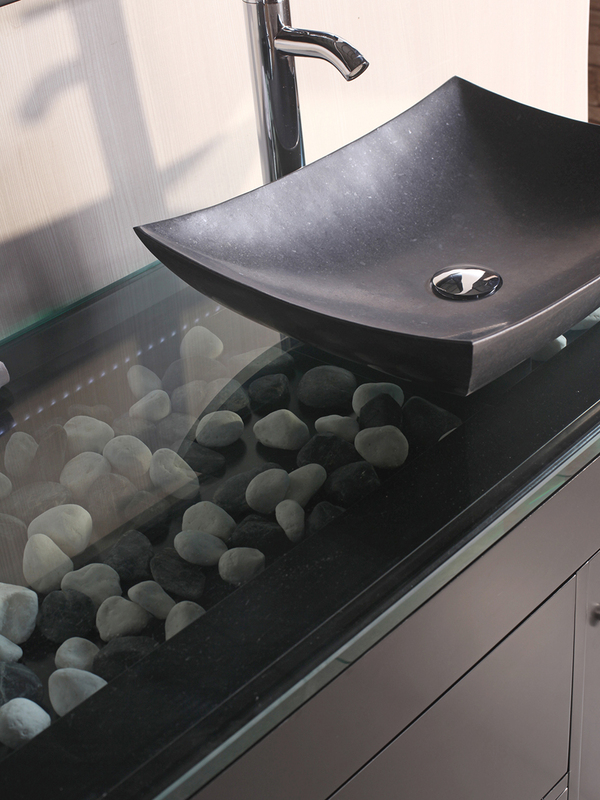 The designer granite sinks make the perfect top to the Oasis, which is then matched with the two framed mirrors that are included with your new vanity.